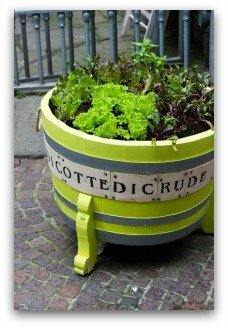 Are you looking for some great small space vegetable garden ideas? 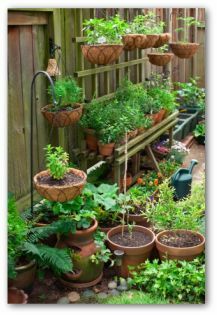 Here are a few great tips for designing and planting a vegetable garden for a patio, balcony or small yard gardening plot. 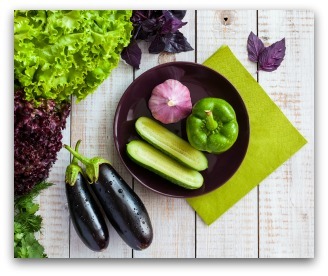 One of the many advantages of growing a small vegetable garden is to be able to grow healthier, tastier homegrown crops for your family without the use of pesticides or herbicides. There are a wide variety of special gardening techniques you can use to maximize your available space. 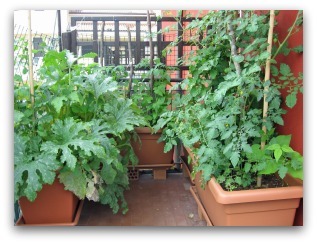 Consider creating a container, vertical, or raised bed garden to fit your small space. Efficiency strategies include companion planting, crop rotation, succession planting, spacing, and vertical growing. The idea here is that even in the smallest space you can produce a bountiful harvest and extend the growing season. Just be sure that you locate your garden in a sunny location as most vegetable plants require full sun in order to thrive and produce vegetables. Pest-deterrent plants like marigolds, garlic, nasturtiums, and onions can be planted strategically throughout the small vegetable garden to deter pests. Most gardeners already know to avoid growing the same crop or crops from the same botanical family in the identical location year after year. This is especially the case for members of the mustard family, which includes cabbage and broccoli. For the best results, you should always rotate all your plants. 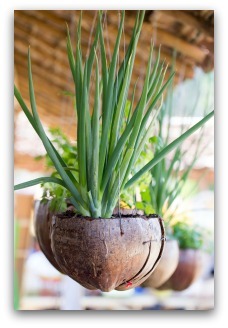 If planting a container garden, it is best to use new potting soil each garden season. This will prevent plant diseases, and offer maximum nutrients to growing vegetables. Since some vegetables mature quicker than others it stands to reason that a small space vegetable garden can be planted, harvested, and replanted during the growing season. Plant succession crops of lettuce, radishes, and green beans every few weeks to enjoy a continual harvest. The seed packets will recommend succession planting when it is appropriate. Also, lettuce and radish mature very quickly, and can be planted near tomatoes and peppers which grow more slowly. You will have time to harvest the lettuce and radish long before your tomato and pepper plants will fill the space. 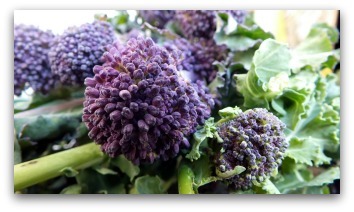 Cool weather crops such as spinach and broccoli produce a summer and fall harvest. 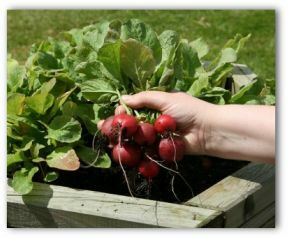 To utilize space left vacant between spring and fall plantings, seed crops such as fast growing radishes or carrots to harvest before planting seeds or transplanting the fall crop. Make the most of a small space vegetable garden by planting vegetables as close together as allowed without subjecting the plants to competition for essential nutrients and water. An added benefit to this type of planting is there will not be a vacant lot for weeds to move in! Intensive planting calls for using the closest proximity permissible. For example, if the spacing stated in the planting directions is to leave spaces between plants of 12 - 18 inches apart then use the minimum space required of 12 inches apart. 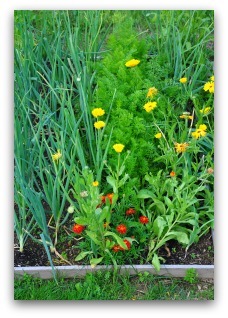 Square foot gardens are an example of this type of intensive planting. Inter-planting is making use of the space next to a plant that takes an entire season to mature. Faster growing plants that reach maturity earlier in the season can be planted in between slower growers such as peppers, eggplant, and tomatoes. early crops will be harvesting just as the later maturing plants require the extra room to finish growing. 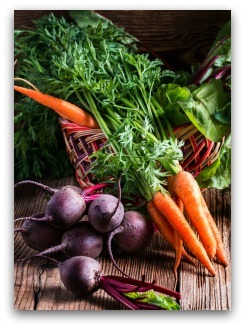 Salad greens, radishes, and scallions can be utilized for inter-planting vegetables. Plant carrots and beets close in a row, and then harvest every other one as a miniature size, which allows more growing room for the remaining vegetables to grow to average size. 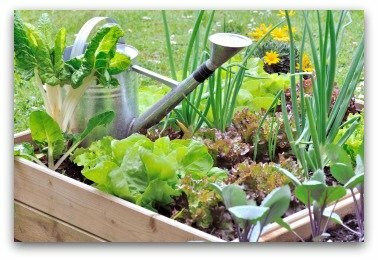 Many gardeners utilize the small space vegetable garden to their advantage by growing crops vertically. Vegetables such as squash can be trained to grow upward instead of outward. Use supports or trellises for vining crops. A bonus to the strategy is freedom from fungal diseases that often attack the vegetable plants when vines are left lying on moist soil. Train tomato plants to grow up by caging or staking, depending on the variety. Indeterminate tomatoes, which are the vining type, can reach towering heights of 10 feet. Another way to get the most production from a small space vegetable garden is to lengthen the growing season. 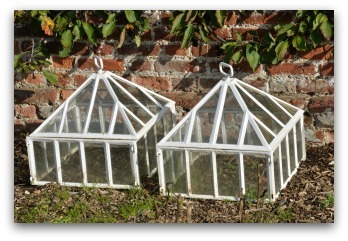 Use row covers or garden cloches on plants to help survive frosts. 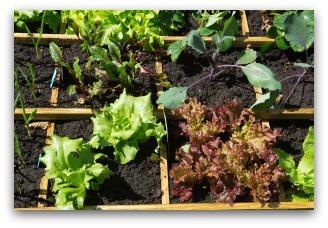 Or set up a cold frame for growing leafy greens in early spring or late fall. Any of the above mentioned vegetable gardening strategies can extend the harvest and increase the garden's bounty.